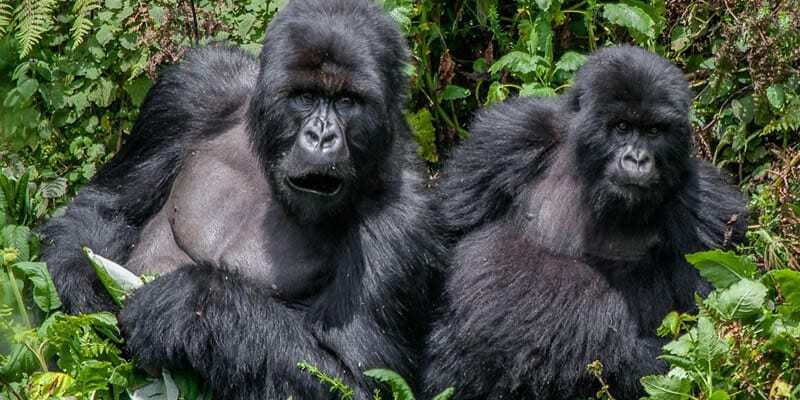 The 18 days gorilla safari Rwanda Uganda safari offers you an opportunity to tour both Uganda and Rwanda on a gorilla safari. This 18 days safari includes takes you to Visit Akagera park , volcanoes park, Kivu, Bwindi Park and so much more. For those interested in shorter trips, check out our other gorilla safaris page. 18 Days Gorilla Safari Rwanda Uganda. On arrival at Kigali Airport, our safari driver for the 18 Days gorilla safari Rwanda Uganda will be ready to welcome you. Drive to Akagera national park which is just 3 hours away from Kigali. This park is a habitat to an interesting selection of species associated with a diversity of habitats: wetlands, woodlands, grasslands, riparian forest and bush country. Day 2: Game drive in Akagera park. / Boat ride on Lake Ihema. Early in the morning, move on for a game drive in the park to see a variety of birds and animals like elephant, giraffe, buffalo, spotted hyena, hippo, and crocodiles. Enjoy a canoe ride on Lake Ihema to see the large number of hippo, the huge Nile crocodile and albertine birds. Return for lunch and head for a community walk. Night at your previous lodge. Day 3: City tour / To Volcanoes National park. Day 4: Gorilla tracking in Volcanoes National park. Rise up early in the morning for an interesting Gorilla trekking expedition. Carrying your tracking gears, head to the ORTPN to have a briefing about the proceeding adventure. Move into the forest to search for the gentle eyed apes that normally find refugee on the mountain slopes. Carry on with your search for the few left Giant primates- The Legendary Mountain Gorillas in Africa! The gorilla trek is strenuous and the time taken to encounter the gorillas is surely unpredictable but it is an exciting experience on meeting the gorillas. Meeting them will depend on there movement and the proximity of their food in the forest. Though it may be along walk you will forget about the fatigue when you meet these gentle eyed dying out apes. Spend an hour with them taking there photo graphs and watching them interact with each other. Return to the lodge and relax as you wait for dinner and overnight at your budgeted. 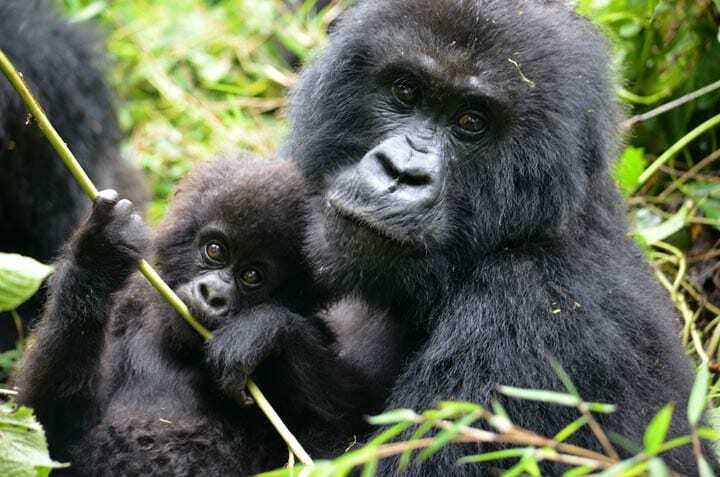 For a short trip option try our 3 days gorilla safari Rwanda. Day 5: Golden monkey trek or Dian Fossey tombs trek. Rise up early in the morning, take your breakfast and head for Golden Monkey trekking. Golden monkey trek takes 3 to 4 hours and therefore you should be back in Time for lunch. For those who do not wish to trek golden monkeys can decide to go for nature walk to the Dian Fossey tombs. You choose one. Later in the afternoon, you can decide to visit the Iby’iwacu community. Later return to your lodge. Day 6. Transfer to Uganda. 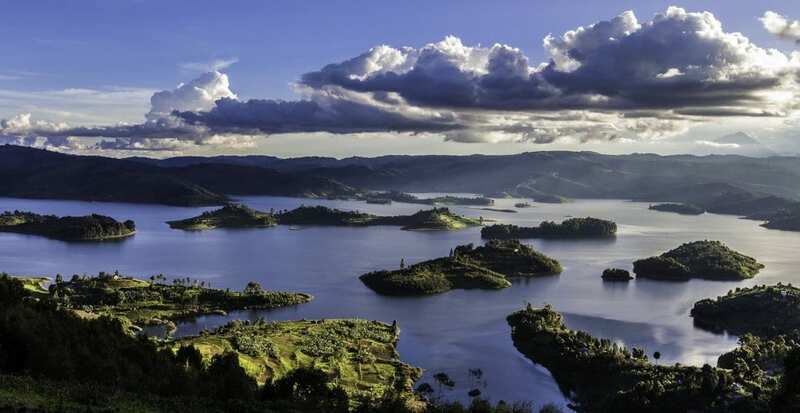 Lake Bunyonyi. 4hrs. Day 7: Transfer to Bwindi Park. Drink a cup the early morning breakfast, carry your tracking gears, drinking water and wear long trousers for the next expedition. Move into the luxuriant forest to search for the great apes. You need to note that tracking can take 2-8 hours depending on their movements. This expedition involves walking up steep and densely forested hills before finally coming across the gorillas camouflaged in the vegetation. When you get to meet these ancient apes, you will forget about the strenuous trek and replace it with excitement. Stay with these gorillas for 1 hour for observation and photography. You will notice that gorillas behave like human beings. They feed there young ones like humans, watch over their young ones like mothers. Relax in the evening as you wait for a night at your lodge. Day 9: Drive to Queen Elizabeth park / Boat ride. Enjoy your breakfast and drive to Queen Elizabeth National Park. The journey takes you through gorgeous rolling hills and the Ishasha sector. On the way into the park, you may get the chance of meeting the tree climbing lions. They are commonly seen in this area. Have lunch as you prepare for the exciting launch cruise. Move down to the Kazinga channel for the launch cruise. It is famous for the highest concentration of Hippos in Africa. Bird life is abundant with over 610 species and hundreds of Nile crocodiles. You will also see herds of elephants and buffaloes quenching there thirst from the water in the channel. The boat provides a clear platform for photographing. Day 10: Game drive / Chimpanzee tracking. Early in the morning, head for a wonderful game drive. On the way , you will be entertained by the presence of animals like the waterbucks, warthogs, Kobs, you may also see some lions hiding in the bushes ready to catch there prey and several other animals. Come back to the lodge and have your carry your lunch. 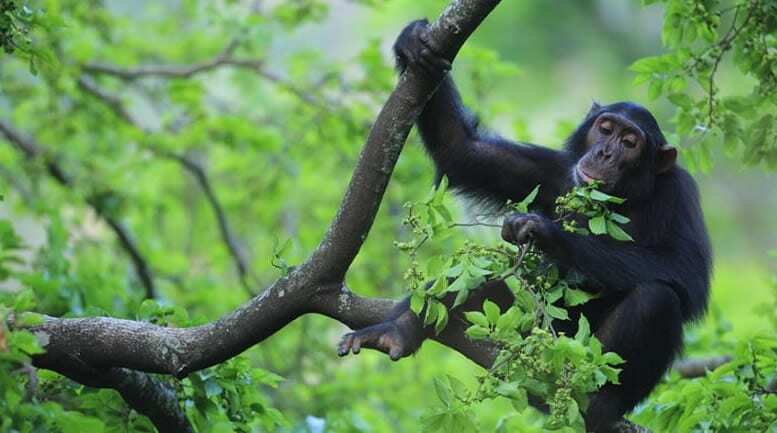 Drive to Kyambura gorge nearby to track the fast moving and mysterious wild chimpanzees, one of man’s closest relations. Day 11: Game drive / Transfer to Kibale. Chimpanzee in Kibale National Park. Day 12: Chimpanzee tracking / Bigodi Nature walk. In the afternoon, you will go for a nature walk in Bigodi wetland, watch out for primates like black and white colobus monkeys and aplenty of birds. Overnight at your hotel. Day 13: Drive to Murchison Falls Park. Early in the morning, get up and drive to Murchison falls national park. This park is nestled in almost the central part of Uganda. It has a variety of animals that are eye captivating. See the great beasts in there natural habitat and observe how they co-exist. You will pass via Hoima them Masindi. Have lunch enroute because this is a long drive. Drive to the top of the falls and see the Nile as it squeezes itself in the narrow gorge producing a thunderous sound. Day 14: Game drive/ Boat ride. Wake up early in the morning and get into the car for a game drive where you will have the chance of seeing early risers like leopards, lions, hyenas and a number of other animals that are returning to there hide outs. More animals you may spot include: giraffes, cape buffalos, hippos, oribi, warthogs, kobs to mention but a few. Having finished your lunch, head to river Nile for launch cruise. Watch the Nile waters as they pour down the high escapement forming a cloudy appearance. There are a number of birds to see quenching there thirst from the river side. Some of these beautiful birds include: the sought after shoebill, yellow- footed fly catcher, ituri batis, martial eagel, papyrus gonolek and very many other birds. Move back to your booked accommodation for dinner and overnight. Day 15: Chimpanzee tracking / Free afternoon. Rise up early in the morning for breakfast then proceed to the ranger station for briefing. Move into the forest for another interesting chimps search. The forest has very tall trees with very large leaves. There are also some other primates like monkeys and baboons. The birds are also in big numbers. Continue with the search. As you get closer to the chimpanzees, you will hear them call out to each other as if trying to alert each other. You will also have a forest walk and get to see the numerous trees that the forest is endowed with. The guide will give you some of the botanical names and local names of some of these trees. Free in the afternoon. Dinner and overnight at your booked accommodation. Day 16: Drive to Transfer to Kampala. Early in the morning, take your breakfast and head to Jinja for an adventurous whole day expedition. 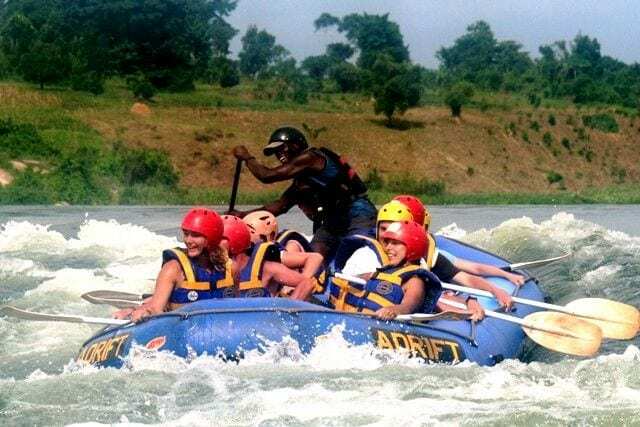 White water rafting is done on the Nile rapids at Bujagali. This part of the Nile is taken to be one of the best for those who love white water rafting. White water rafting is normally launched right at the falls. Bujjagali provides the safest white water rafting point in the world with grade 5 rapids all along the route and ranks as the most interesting in the world. To complete this adventure, you take about 25km on water and gives you the chance to view some of the large numbers of water bird species. It is an entire day activity. In the late evening have a marvelous barbecue with other rafters. You may take on a jinja tour where you will get the chance to visit luxuriant Mabira natural forest. Spot some interesting monkeys as they jump from tree to tree in excitement. The forest also has a variety of birds present. Tour the source of the Nile on a boat, see its actual originality where the Nile separates from great Lake Victoria. Continue to Bujjagali falls where you will take part in the half day White water rafting adventure. You may also opt to do quad biking or try the adrenaline stimulating bungee jumping. Return to Kampala for dinner and overnight. After the adventure filled safari, get ready for your home bound flight at Entebbe.